Stanczyk enjoys this post… whimsical yet deep! Its been 22 years since Christopher Robin Milne died. His father, A. 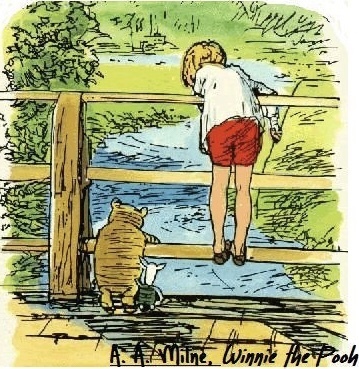 A. Milne died 62 years ago. Winnie the Pooh has always lent itself to philosophical interpretation. Those of a certain age will remember the 1982 book, The Tao of Pooh. In Miłosz’s subject … that I let, are many whimsical & deep elements in his short essay. It reminds me a bit of Schrodinger’s cat paradox. So I see the quantum aspects. A well as a metaphor for time is kind of philosophical or religious. Is this a reincarnation story. But Christopher was aware of his past & transition to reincarnation. That has been studied and always past life memories come away unconvincing. There is an element of Peter-Pan-Theory whereby a person (so often male) refuses to grow up & mature. I think A. 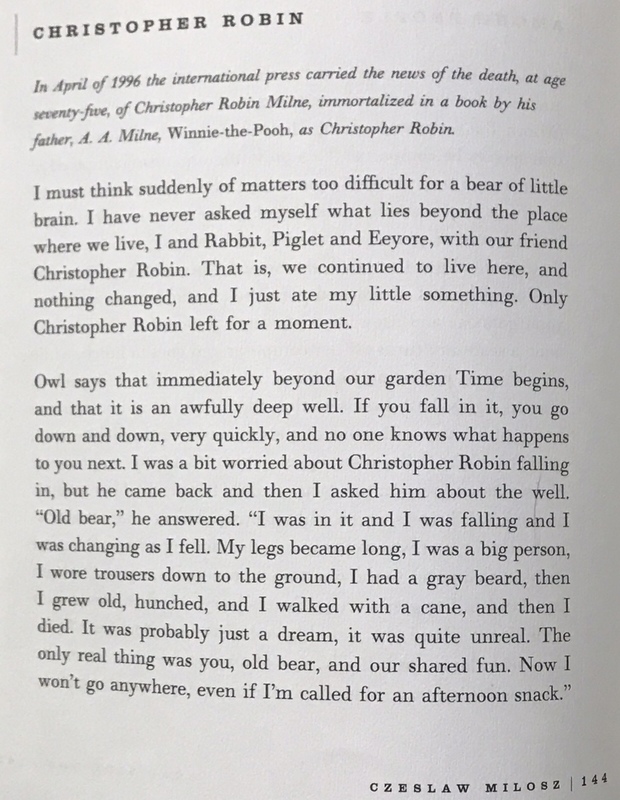 A. Milne’s remarkable work with Pooh is that its very deep matter that can be derived for whatever bent you bring to “bear” on the stories. And that, is the charm and I think the appeal to the Nobel Prize author and probably to all the readers of A. A. Milne about his son. Stanczyk — At one time or another this jester, who is also a genealogist has marveled at the miraculous odds that we overcame to be. Not just I, but anyone of you, my dear readers, the odds are almost incalculable. So I think Milosz with his religious bent would have marveled at that or the fact we are all of us made of star dust. But we are not each the sum total of the human race. We are each extant branches of that human race are lost in the ravages of time and the savagery of our species. Some DNA has been lost. We are all much more alike because we descend through the few branches that were dramatically pruned from our species long history. Think of how many humans have been eliminated. A good bit of our diversity has already been eliminated. That is why variance between any two humans is less distance than between the variance of say any two Great Ape species. Forget the evolutionary aspects. We are less diverse than the great apes. So perhaps the lesson here to the orange buffoon in the Whitehouse is that by eliminating diversity we are subjecting our species (the homo sapiens) to a possible extinction event that might have been survivable if we were MORE diverse. But we are not the summation of our species, but we are more a delicate thread of Y-DNA or MT-DNA back to the last extant branch. Do not risk the thread! Now about that star dust, if the DNA is remarkably NOT diverse, think about how little diversity of star dust we are each made of. The odds of other intelligent life occurring and still existing such that our civilization’s electronic signature (or noise) being detected or us detecting another civilization’s noise is even longer in odds than for anyone of us to have existed. We’re pretty special right now but in a million years or a billion years our entire civilization just just be so much star dust, without a signature left to be detected. Extinction appears to be more common than creation. If we wish to be Among Other People for longer than this short moment in time, then we better start valuing the diversity that is left and start cooperating for mutual survival of our species. In this essay of mine, I am going to diverge from my revered subject, whose Subjects I Let. He was thankful that there by the grace of God, he was exempted from the labor camps & mines of Vorkuta. Vorkuta for the rest of us was the largest gulag in the European Russia, up near the arctic circle. But He got a “splinter”. It stayed under his skin for decades. Why did the West not bring Russia to task for its gulags. Perhaps you do not know that He was a diplomat for Communist-Poland and that He sought to defect during the Cold War era. He wanted asylum in the US but suspicion in the McCarthy era that He might be a soviet spy kept him from seeking & being granted asylum. In the mean time, He wrote “The Captive Mind” and other prose that marked him an intellectual dissident against Stalinism. These works led him to be welcome in the West and in 1960 He emigrated to the US to work at UC-Berkley as a professor. He was a poet, a Polish (not Lithuanian) poet, who came of age in World War 2 era Europe in Wilno/Vilinius & Warsaw. A complex poet Polish culturally, Lithuanian ethnically, & Russian by oppression and extended sphere of influence. He hated the Empire and his enmity against the West (for its inaction) made his splinter ache. Study the path He took, an exiled poet who the West saw him as a political tool, a role he eschewed when he defected. Nobody saw the poet despite his works & rewards. Only his memory of Vorkuta prisoners (some his friends) kept him able to discern good from evil. Nobody saw his anguish or cries to heaven (the poet). Yet He wielded his fame which was more powerful than the evil monster-state’s regiments & armies. But why so angry against the West, Miłosz? It provided you the fame to wield. All of a sudden in 1980, you were part of a triumvirate: Catholic Pope, Solidarinosc-Leader, Nobel-Prize-poet that raised the Polish soul to new heights. So were you a poet or a Cold War warrior after all? Please dear readers, email Stanczyk & let this jester know … I am of two minds on this subject. What a heavy meme this week. Its about religion & philosophy and the strange intersection faith had with humanity in the 20th century. The subject of the Subject To Let, is Father Stanisław, a child of what we call in Anerica, the “Greatest Generation” for their struggles against such dire straits. Father Stanisław was a child in raised during the evil police state that flourished post-World-War-2. How could this Catholic boy, now Catholic priest, reconcile the horrors endured by his parents, and presided over by God? God & his parents had survived the haunting inhumanities of NAZI Germany and now the Communist Totalitarian state afterwards. How had he acquired & preserved the traits we call faith or ethics or morality? Weren’t those traits lost in the survival by being unable to stop slavery & genocide? Aren’t they gone in the godless communism that has killed even priests & nuns? Is this an evolutionary trait (the unspoken question of the Subject)? Had Father Stanisław acquired this trait … via nature or nurture? How could he live with this stain? It was only by turning to God’s willingness to sacrifice his son (himself) to the torture & degradation of crucifixion for his church and its sins. Oddly, Father Stanisław endured & persevered this severe philosophical enquiry. But he hated the symbol of the crucifix, an emblem of torture, even as his flock would paradę with them in celebrations or cling to them with their prayers. Such self sacrifice. This jester has no answer or even a reply. All I can do is propagate this meme and hope some good seed is planted somewhere and bears good fruit! Stanczyk has now made it 20% of my way through Miłosz’s Subjects To Let. This is an exercise in discipline and learning to read/write as well as Miłosz; not like Miłosz but as well as. His subjects permeate with mortality and impermanence. So today’s subject appears to dwell in that sweet spot. But appearances can be deceiving. My own żona, who tutors as if she were a rabbi and that tutelage informs my Catholic world view, says that her mother was fond of quoting, “Be careful what you martyr yourself for as you only have One Life”. As is so often with sages their words are wise on multiple levels. Of course there was the obvious meaning of giving away your life and that such sacrifice should be for what you see as your penultimate value(s). But on another level it means spend your time in life wisely and take care that your expenditures are for worthwhile purposes. But it is also about mortality and impermanence. I think we can also see that the woman subject receives Miłosz’s scorn because she not only rebuffed the poet/essayist Julius Słowacki ‘s petition for love, she also upbraided this great man. I can imagine that Miłosz identified with Słowacki since they seemed to be cut from the same cloth. The both were poets and essayists. They also continued to write poetry ’til their dying days. So I guess Miłosz sees her karmic retribution is the complete and utter lack of a memory of her (whose name I refuse to type) and her efforts. Read the three pages of the subject, “One Life“. But let me honor Juliusz Słowacki, by leaving you, good reader, with Słowacki’s prophetic 1848 poem, The Slavic Pope. 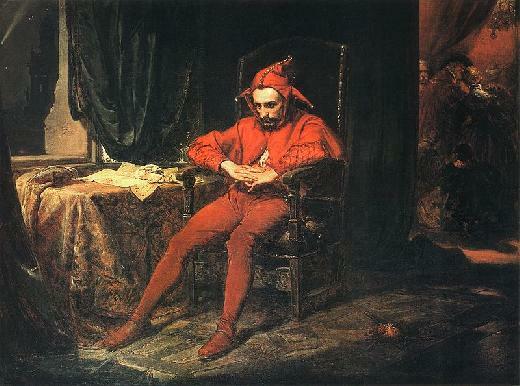 Here is another example of the let from Miłosz and sublet to those after this jester. Read his words. Why can we not live out Pan Tadeusz, or enjoy our Natural Parks/Monuments without oligarchs enriching themselves and ruining this planet in the exchange. Why do only rich profit from pipelines across precious waterlands/aquifers , while poor suffer from the oligarch imposed catastrophe and those in the middle pay taxes to enrich/exculpate the oligarch and alleviate the sufferings inflicted upon the poor who live near the oligarch’s projects. Why shrink National Monuments? Why pollute oceans or aquifers? Why is Flint (MI) poisoned with lead in its waters? We are all husbands of this planet. Why make it so that many suffer & die? Won’t those amongst the oligarchs also die from the same calamity? Where will the oligarch get water to drink or bathe or to wash/clean? Will they man the waterworks can they repair/maintain these themselves? If so then why not now? Oligarch, Cancel projects that do harm to our only God-given habitat. Are there no good oligarchs to counter the bad ones? Water is life. And water borne diseases are death. Oligarchs will not be spared. We all depend on each other. United we stand & divided we all … fall down! Those who ruin what God created will not be saved. Stanczyk is practicing writing (and maybe philosophy too). Milosz is most definitely dead. That must be understood. Else, why would I Let the Subjects of a Nobel-Prize winning author? I’d just write a book review and move-on if Milosz were alive. I’d follow His blog (and Twitter). Alas, he did not make it to the age of social media. His words & ideas however, live on. From this point on. I may sublet his ideas and mine to some other writer/philosopher. This post is one I wish to sublet. Milosz: Banners / Eliasz-Solomon Fake News . In Milosz’s Banners he lays down his thoughts on a military banner. He makes no bones about it, that it was a folly. The folly was upon the Teutonic Order and its allies crossing the Nieman river at Alytus (Olita). Amongst these warlike men was a Prince Percy (younger brother of Hotspur), an Englishman. He noticed a St. George banner being carried into battle and demanded the right to carry the banner since St. George (the dragon slayer) was the patron saint of England. Factions within this army almost came to a battle within their own army over the banner… the feelings were smoothed over somehow and matters I presume continued. Milosz thought it a folly to fight for a banner. He even remarked it was a banner over an imaginary man who never existed (a further folly). It is certain that Milosz thought it a folly for an army to be divided against itself. So Milosz used the icon of a banner in the same fashion as Ingemar Bergman might use a clown in his movie. The banner is actually folly. Its now thought that St. George was a conflation of the lives of three “Georges”, none of whom history recorded as slaying a dragon. This common misconception still persists on flags and even in the name of a country and he is still patron saint of England. 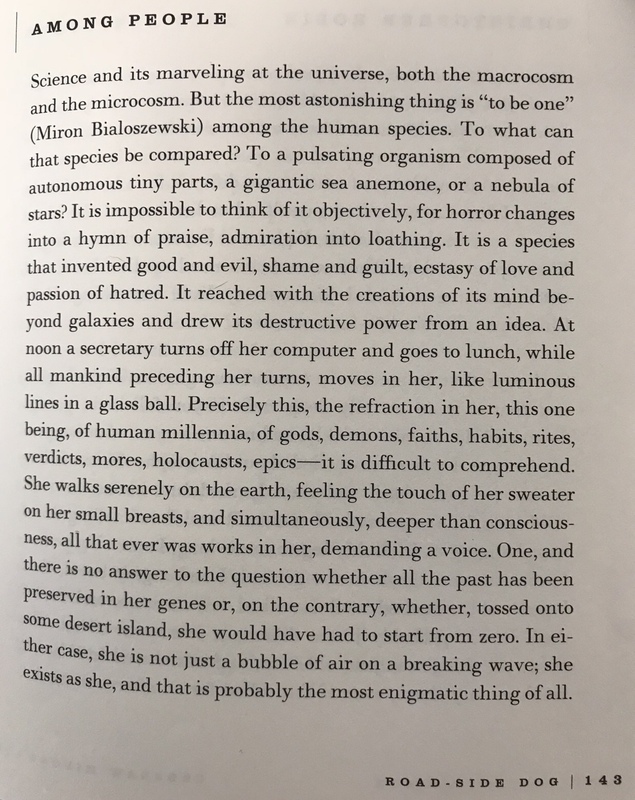 Milosz’s idea is timely and never more so than today. The banner today is “Fake News”. So the subject I sublet is Fake News, a modern folly perpetuated by a clownish, reality television “star” who managed to parlay folly and showmanship into being elected President. Miłosz’s first Subject To Let is: “Why Do I Let My Subjects To Others”. Why does Miłosz Let His Subjects? It’s right there in the first sentence. Because he is old. At the time of “Road-Side Dog” being published, Miłosz was 86 years old. Yet he continues to write poems until he is 93! He detests writers who write about themselves … viva the classicist he intones. By classicist, I assume he means people like who wrote Gilgamesh or the Greek writer Homer or perhaps the divine words of the Bible. Taken together, these two thoughts, I think he “Lets His Subjects” to be remembered. He seeks the immortality of Homer (we do not know the author(s) of Gilgamesh). But nothing he writes in his Nobel-prize lifetime will sustain his vision. He needs us … he needs me to do this exercise of 40 Let Subjects; One per week, taking roughly 77% of a year’s span to keep his animus alive and doing something. Now I merely have to keep my research alive and doing something. Indeed, even my writings must live so Miłosz’s writings will also live and be doing something. I wanted to dissect another of his thoughts. By mentioning himself (“I’m old”, “His Muse”, “His ignorance”, etc.) in this first subject, he contradicts himself about authors who write about themselves. He, in fact, does so too. Now I am pretty sure Miłosz is not a self-hating author. In fact, all authors do write about themselves. They say, “Write about what you know.” We all know ourselves. Ergo, authors are always present in their stories/essays/blogs … in all their works. Look at the Bible. It is said to be God’s Word(s). And yes, God is in His Word(s). Miłosz, I am here! So too, is Miłosz.